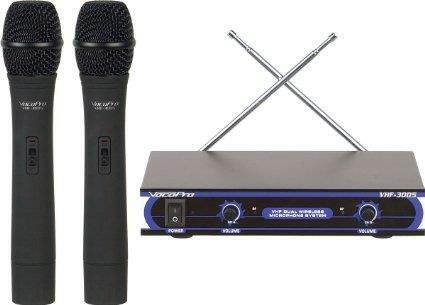 2 Wireless handheld mics included. VHF dual antenna receiver design provides clear RF reception. Transmits up to 150 feet. * Please call us with any questions about our microphone cordless handheld dual rentals in Columbia and Jefferson City MO.